Pusser’s and Papa’s Pilar photos by the producers. Rum or rhum (depending on whether you are in an English or French speaking area) is the Caribbean’s most frequently produced spirit. It is also produced in the Southern USA, Central and South America, though the rum-like beverage produced in Brazil from condensed sugarcane juice is called cachaça (pronounced ka-cha-sha) or most commonly, pinga. Every island and every country where sugarcane is grown make their own version of the spirit, in varying qualities, alcoholic content, and price ranges. In the 17th, 18th and 19th century, rum was served aboard British warships, rationed to the sailors serving The Crown, and was what the Founding Fathers of the US sipped in Philadelphia, as they argued the details of the constitution. Rum is created by distilling fermented concentrated cane juice, or molasses. All rums come out of the still as clear, colorless spirits, but barrel aging and, sometimes, the use of caramel determines the liquor’s final color and sweetness. Aromatic rums are usually distilled in pot stills; similar to those used to produce whiskies. 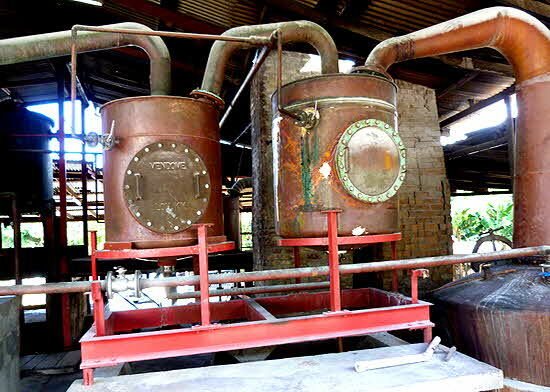 Pot stills are less "efficient" than column stills and some traces of fusel oils and other aromatic elements are carried over with the alcohol, giving each rum its distinct nose and palate. Some brands are made by blending pot and column distilled spirits in a manner similar to the production of Armagnac. Nowadays, rum can be either enjoyed as a sipping drink or it can be the base for a cocktail or a long drink. The alcoholic strength varies from about 60 to 151 proof – though the purchase and export of the last strength is highly regulated in most regions and mostly restricted to local consumers. It should be also noted that the FAA doesn’t allow 151 proof rum to be carried in hand luggage on board a plane as it is considered a flammable liquid. Through the years I have accumulated many bottles from different areas and, going through my bar, I decided it was time to offer some comments about what I have collected. My first extensive acquaintance with rum was in Haiti in the early 70s, where during Haiti's "golden years" I used to stay at Habitation Leclerc. Habitation was a wonderful property, built on the ruins of General Leclerc’s governor's palace, where each small group of extremely luxurious suites had its own pool; the suites were set amongst the lush foliage of the city's unique rain forest. 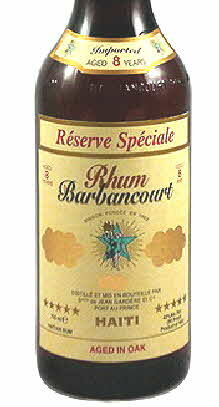 At Habitation, my drink-of-choice was Barbancourt Réserve, an aged Haitian rum that should be savored neat or with just a single ice cube. It was an exceptionally complex, perfumed drink. For cocktails, another company named Jane Barbancourt, and based at Boutilliers (went out of business in 1985) had numerous fruit- or spice- flavored rum liqueur versions, and I’m now nursing a dazzling bottle of Nougat Rum Liqueur – I have saved that final bottle through many moves and I only sip a little at a time on special occasions, to make it last. 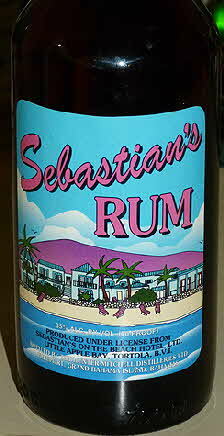 Another rum that I’ve been saving is Sebastian’s Rum from Tortola, BVI. Named after the notorious pirate Sebastian, the rum is actually produced on Grand Bahama Island, for Sebastian’s on the Beach Hotel of Tortola. It is a great sip of sweetness; don’t waste it by using it as a base for cocktails. I treasure what little I have left. From the same island I keep a bottle of Pusser’s Rum, considered to be the original rum rationed to the sailors of the British Royal Navy. In 1979 Charles Tobias obtained the rights and blending information from the Admiralty and the rum is now available even though you are not a British seaman; but one has to pay for it, it is not a free “tot” as the daily pint ration was called. It is a rich and full bodied dark rum, very smooth and aromatic due to the small batch, pot-still distillation. 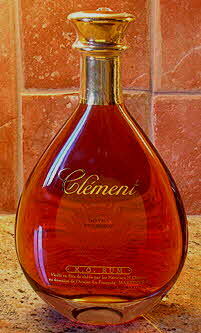 A sipping rum of great quality, but not well known is Rhum Clément X.O., a blend of hand selected aged rums, 25 years and older. Each vintage brings its own particular aroma and taste elements that combine to give X.O. its unique flavor profile. The color is dark amber gold/brown, bright and clear. The palate is floral, slightly sweet, and silky smooth with wood notes, dark dried fruit, and a fair amount of oak around the edges. The nose shows fruitcake, saddle leather, toffee, honey, vanilla, spice, and cigarbox aromas, which gives this rum its complexly luscious feel. 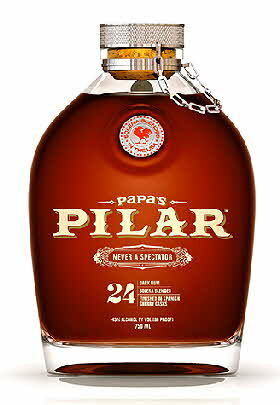 Unusual packaging and exquisite taste are the hallmarks of Papa’s Pilar, a pair of super-premium rum blends created from both pot-distilled and column-distilled base spirits produced in the Caribbean, Central America and Florida, aged in bourbon and port wine barrels, then finished in Spanish sherry casks. Papa refers to the literary giant Ernest Hemingway, and Pilar was the nickname of his second wife (as well as the name of his boat). Two expressions – dark and blond - are blended in Kentucky. The packaging is very unusual. The bottles are shaped like aluminum infantry water canteens carried by US servicemen. The metal top, engraved with a compass, is chained to the bottle, just as it was on a soldier’s canteen. Not a very practical design, but works for a very authentic look. The blends are produced in the Solera method, where spirit from a new barrel is mixed with spirit from an older barrel, aged for a while, and then mixed with the next oldest barrel, and so on. As a result, only a small amount of the rum might be whatever age is claimed. The Dark expression has a strong aroma of brown sugar and cinnamon. The flavor is initially sweet, with lots of vanilla, caramel, and citrus with hints of saddle leather. Then the spice comes on, cinnamon, mace and anise. The finish is on the dry side, and slightly astringent, with the sherry-cask aging making itself known. The Blond expression’s nose has citrus notes of grapefruit and key lime mixed with vanilla, oak and a touch of nuts. It is a bit drier than the Dark expression. The palate is creamy with a buttery vanilla taste, layered with mango, orange peel and hints of pineapple. It is slightly nutty, clean and exceptionally smooth. From the more common brands, I like Captain Morgan’s Spiced Rum. It is produced in Camuy, Puerto Rico; it is very aromatic and I use it as a base for either a Cuba Libre (Rum and Coke, for the less knowledgeable set) or a Piña Colada. Named after another infamous buccaneer that plied the Caribbean waters in search of plunder, this rum works well either as a sipping rum or as a cocktail base. Another flavored rum that I mostly use for Piña Coladas is Captain Morgan’s Parrot Bay Pineapple. I consider this as a strictly mixing rum that adds wonderful aromas to any rum-based tropical drink. © February 2015 LuxuryWeb Magazine. All rights reserved.